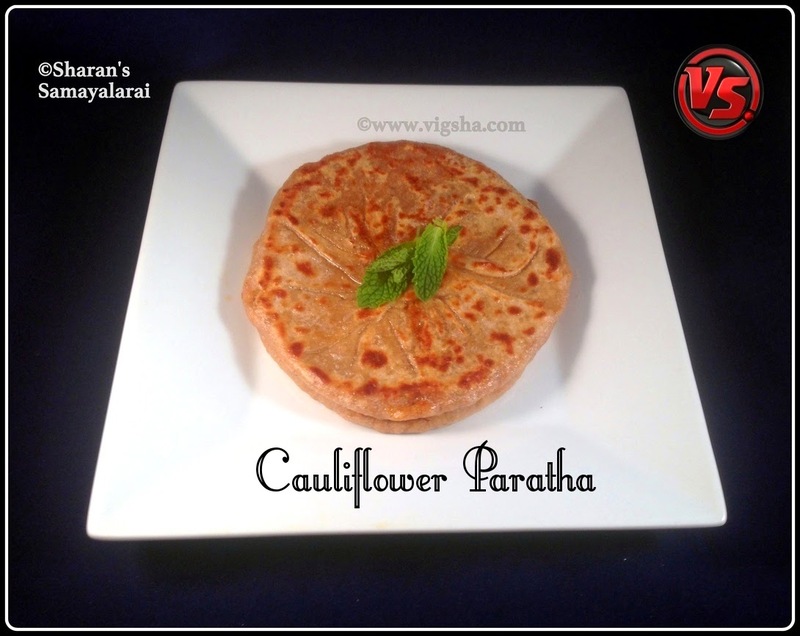 Gobi Paratha or Cauliflower paratha is a famous North-Indian stuffed flat bread recipe. 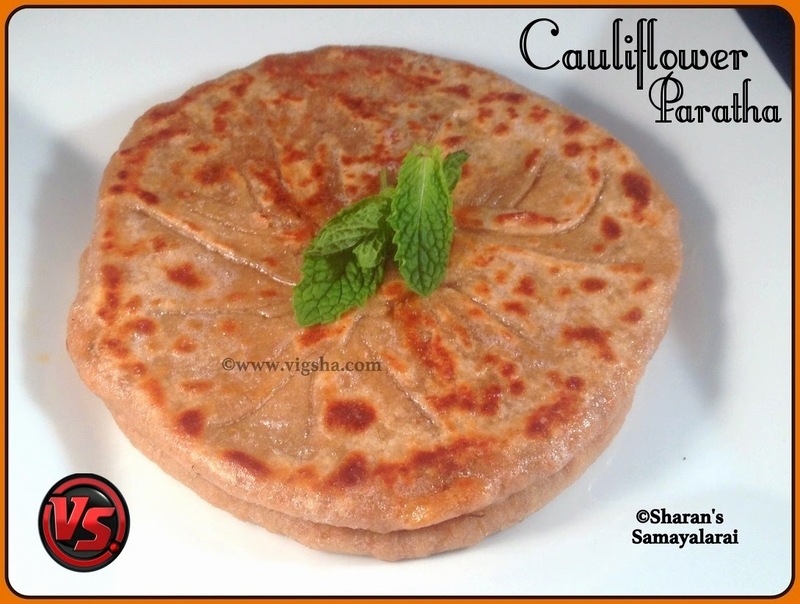 These parathas are made with wheat flour and stuffed with spicy cauliflower masala. These parathas are a perfect breakfast or dinner recipe. They are simple yet delicious and complete meal by itself. Check out other stuffed paratha recipes which I have already posted :- Avocado Paratha, Radish Paratha, Green-Peas Paratha, Aloo Paratha, Paneer Paratha. 1). Prepare a soft dough by mixing wheat flour, salt and enough water. Finally add oil to the dough and cover it with a wet cloth. Keep aside. 2). Click here to know how to blanch the cauliflower. Once blanched, grate or finely chop it, keep aside. Heat oil in a pan, add cumin and let it splutter. Then add the finely chopped onions and green chillies. Saute till they turn light brown. 3). Add all the dry powders and saute for 30 seconds. Finally, add the grated cauliflower and cook in low heat till the cauliflower becomes soft. Sprinkle water if needed and finally add the coriander leaves and switch off. Keep aside and let it cool completely. 4). Make equal sized balls from the dough and flatten it a medium size 4" circle. Place the above prepared stuffing (2 tsp) in the middle and cover the sides. Then flatten to a thick and medium sized parathas. 5). Heat a pan and slide the flat parathas. Add ghee on and around the parathas and cook till black spots appear on both the sides. Repeat the procedure for the remaining dough. Serve hot or warm with curd or simple raita. I served it with Cucumber Raita. # Make sure to completely cool the filling before making parathas. # Left-over filling can be used for Cauliflower Dosa or as stuffing for Cauliflower Sandwich. # Butter definetly makes difference in taste. For vegan version, use oil instead of butter. # Make sure to keep the parathas in a covered or insulated container.